Two down, three to go! 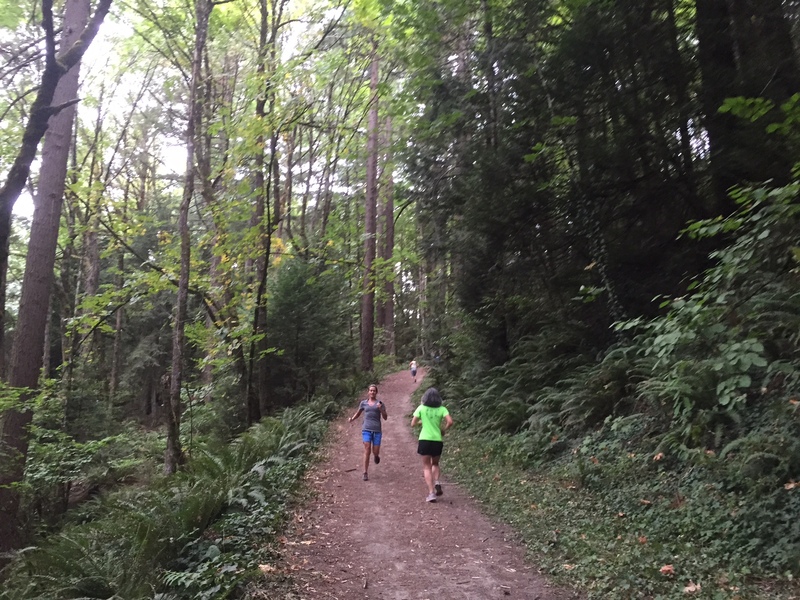 This week marked the second installment of the Portland Trail Series, a low-key series of five trail races over the course of five weeks held in Forest Park in Portland. 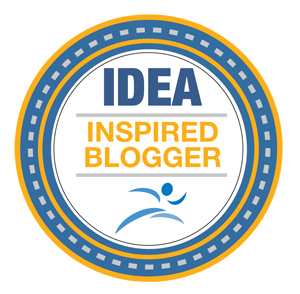 Read about last week’s event here. The best part? 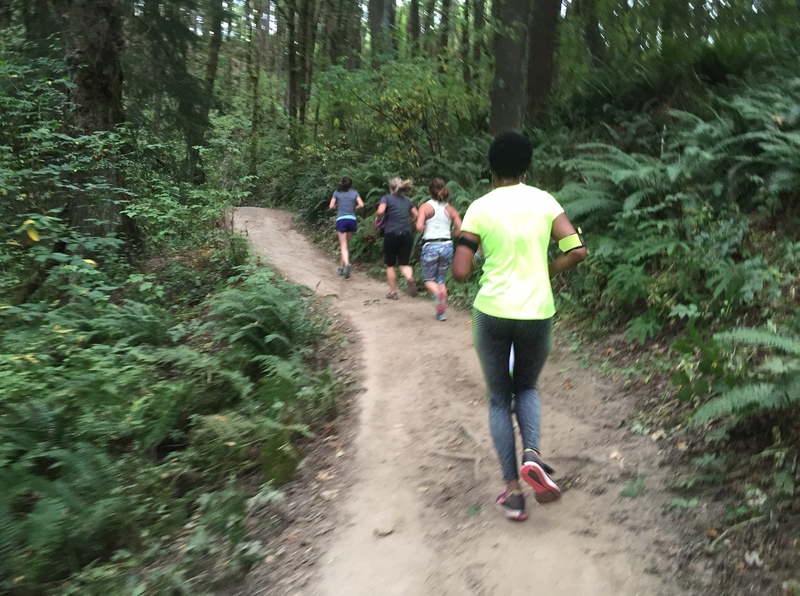 Syreeta, one of our Team LUNA Chix Portland Run members, had mentioned during our Monday night practice that she was thinking of joining us for what would be her first-ever trail race. So, needless to say, I couldn’t be more excited when we saw her at the start line! 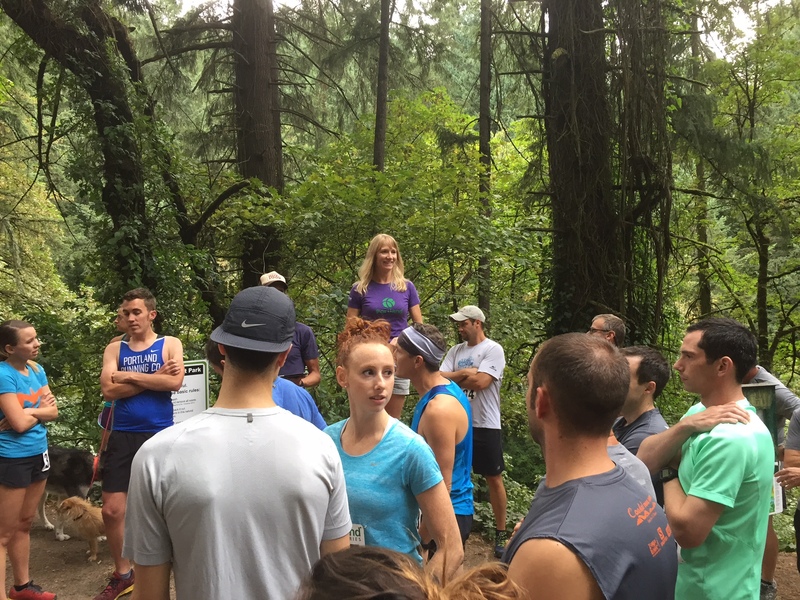 We lined up to get the scoop on the evening’s course, which measured 5.20 miles. We’d start on Leif Erikson and go up Leif to Wild Cherry, up Wild Cherry to Wildwood, then down Wildwood to Holman, up Holman to 53rd, up 53rd to Birch, down Birch to Wildwood, up Wildwood to Wild Cherry, down Wild Cherry to Leif and Leif to the finish. The good news, they said? The course was net zero elevation. The not-so-good news? It was far from flat, so we could expect a lot of ups, and a lot of downs in return. 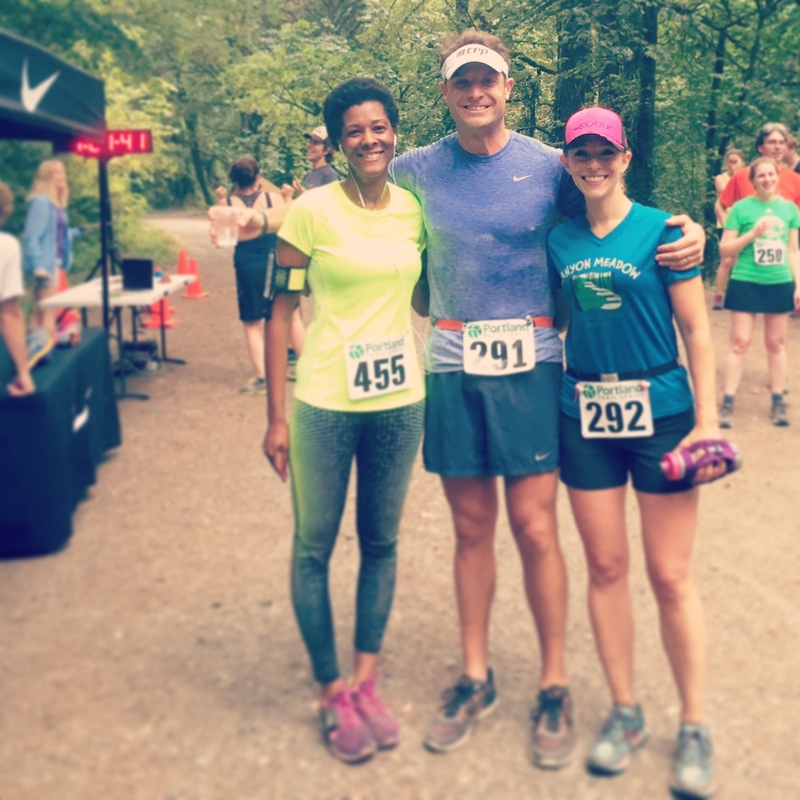 Syreeta’s already a pro on the trails, since she and her husband are avid weekend hikers. Seriously, if you want the lowdown on the most challenging jaunts and most scenic vistas in the area, she’s your go-to gal. 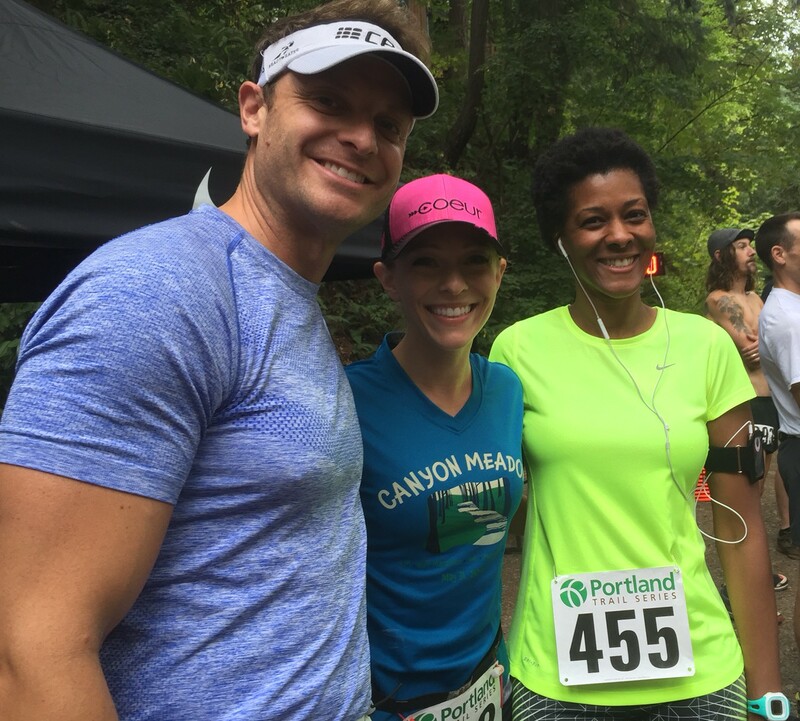 But since it was her first trail race, we decided to run together and let her set the pace. My goal, I said, was to get her across the finish line A) in once piece, and B) smiling. 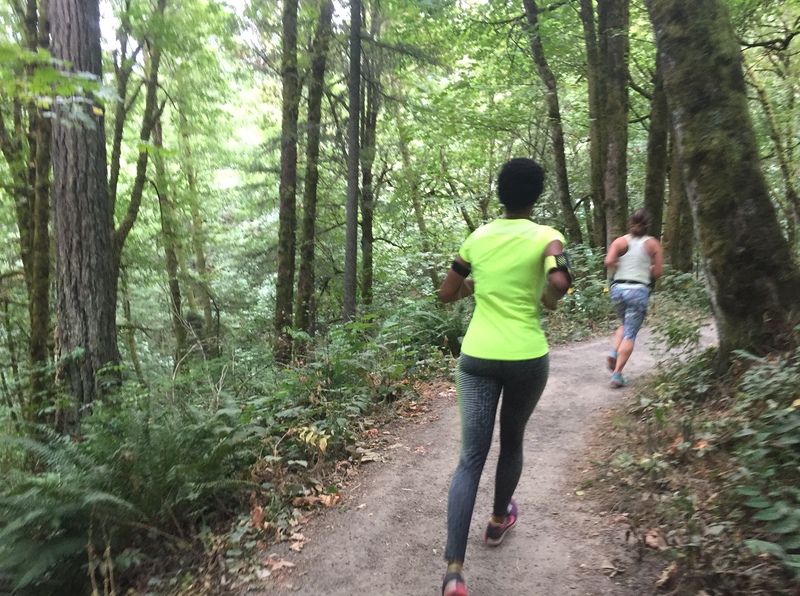 Her goal was to run as much of the course as possible. But Syreeta powered right up without stopping, so we chugged along and caught our breaths while enjoying a beautiful downhill section on the back side. 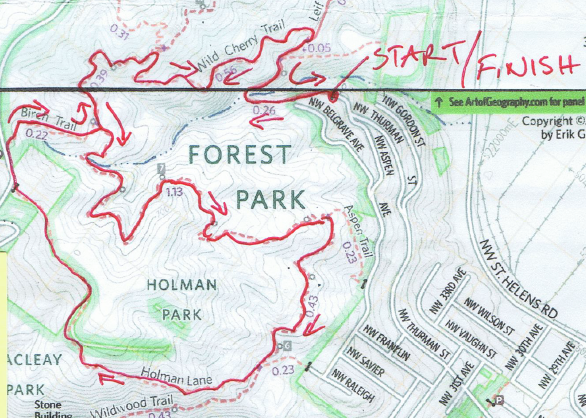 We kept a solid pace through a number of rolling hills before hitting a pretty long uphill, which I think it was the Holman and 53rd section. 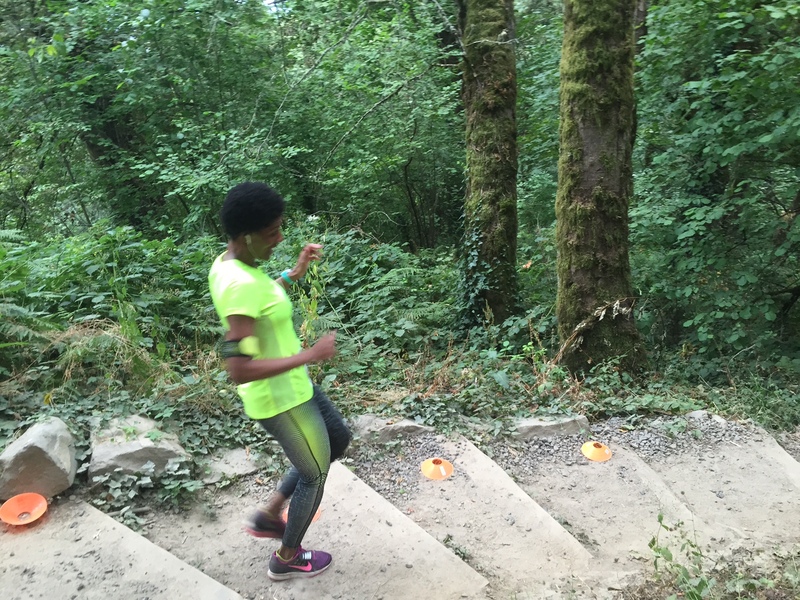 After taking the first part at a jog, we rounded a corner and saw it keep going up, up, and away…so Syreeta made what I thought was a great judgment call and started hiking up. Not only would this allow us to keep moving along at a good clip (a purposeful walk over a long, steep hill can be just as quick and effective as a slow jog), but it’d also allow us to conserve some energy for later. 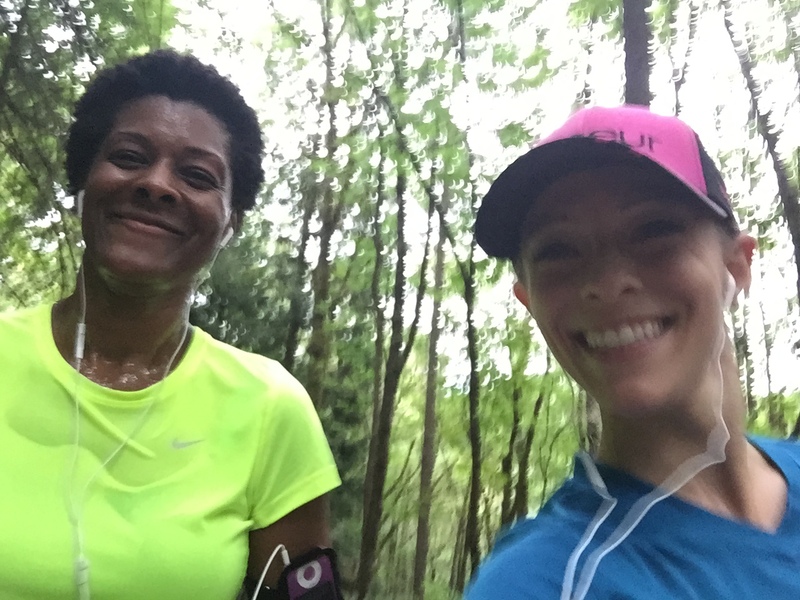 I was beyond impressed with Syreeta’s positive attitude and willingness to lay it all out there — her second wind hit with about a mile and a half to go, so we picked up the pace again and headed for home. Syreeta led the charge to a strong finish; we wound our way back down Wild Cherry and crossed the line with a final time of 58:10. This even included a quick backroom break about a half-mile from the finish! 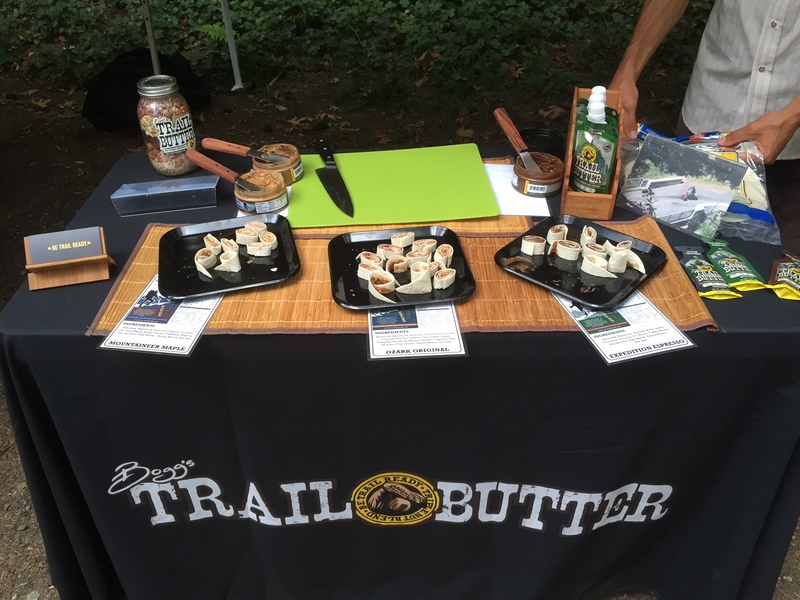 We met up with Ben and got sidetracked as soon as we spotted a booth for Bogg’s Trail Butter, which was nothing short of delicious. It reminded me of my beloved PocketFuel, but instead of a gritty texture from sugar (which can start to trouble my tummy during longer races) this had more of a chunkier/crunchier texture from all the nuts. My favorite flavor was the Ozark Original, which combines many of the ingredients found in a classic trail mix. Nuts, seeds, raisins, cranberries and a hint of semi-sweet chocolate hit the spot. Plus, we learned a great new way for prepping food for the trails — spread the nut butter on a flour tortilla, roll it up, then chop into bite-sized pieces. Brilliant! Can’t wait to do it again next week! Same place, same time, different route — so stay tuned for my report from race no. 3. 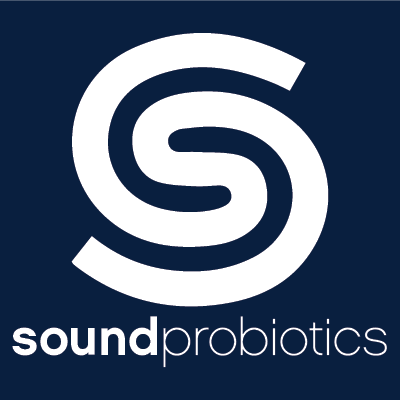 And for more information on the Portland Trail Series in the meantime, click here. Oh, I bet! Should be fun! !